The beauty of the night sky is both surreal and mysterious! The primary image on this page began its life as a calendar page that was simply too pretty to throw away! So I tore it a bit and adhered it to this page of my art journal. 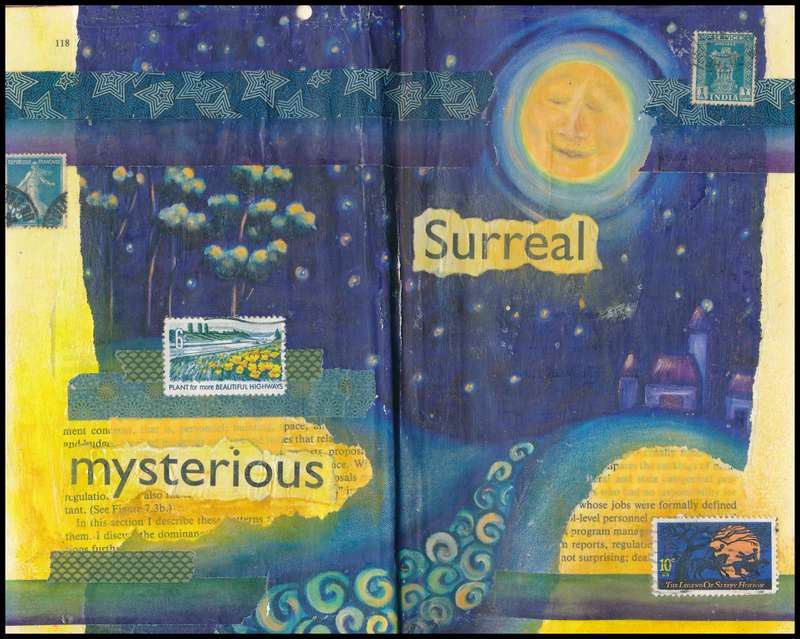 I used pastels in several yellow shades to mirror the colours found in the sun, and collaged several magazine words and real postage stamps to the page. A little washi tape completed the look by creating horizontal lines to ground the image. (Click on the image to view an enlargement).